These scholars essentially risked their academic careers by ignoring the naysayers who said the books were not worthy of study because it was considered children’s literature – often disregarded because of the audience —and mostly read by women. An Island historian and UPEI history professor, Bolger published The Years Before Anne in 1974, which included the newly rediscovered Montgomery letters to her cousin, Penzie Macneill. Later, Bolger and Epperly edited a collection of letters written by Montgomery to her Scottish pen pal, G.B. MacMillan (first published in 1980 published by McGill-Ryerson Press and then by Oxford University Press in 1992) as My Dear Mr. M: Letters to G.B. MacMillan from L.M. Montgomery. When Epperly’s The Fragrance of Sweetgrass: L.M. Montgomery’s Heroines and the Pursuit of Romancewas published in 1992, it was the first full-length critical study of all of Montgomery’s novels. The confluence of the first really successful [Kevin Sullivan’s] Anne [of Green Gables] movie in 1985, and the beginning of the publication of LMM’s journals in 1985, which gave her a new life; more papers on her, such as in our CCL: A Journal of Criticism and Review, which began in 1975 and re-published Elizabeth Waterston’s initial assessment of Montgomery [from 1966]— the first academic article in the world on LMM. And, the publication of Gabriella Åhmansson’s important book study [A Life and Its Mirrors: A Feminist Reading of L.M. 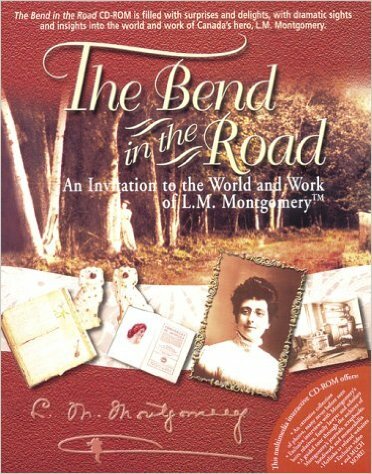 Montgomery’s Fiction, Volume 1: An Introduction to Lucy Maud Montgomery, Anne Shirley] in 1991— all culminated in the start of the L. M. Montgomery Institute, the brain child of Dr. Elizabeth Epperly. Indeed, this “brain child” received a lot of support from the community and together with committee members, Elizabeth Percival, coordinator of Women’s Studies, Dr. Bolger, and Professor Robert Campbell, Dean of Arts, they conceived of a vision: a place that brought “the popular and the academic” together. A goal of the Institute was to develop an Island collection of Montgomery-related artefacts, coordinating an international symposium with “big names,” like Rubio and Waterston, and sponsoring courses on Canadian culture. On the 26 of April 1993, that vision was realized with the launch of the L.M. Montgomery Institute. The launch took place in the Faculty Lounge of the Main Building at the University of Prince Edward Island. Bolger was the Master of Ceremonies, who greeted an impressive list of guests of honour, including the L.M. Montgomery Heritage Society, Lieutenant Governor of PEI, Marion Reid; Premier Catherine Callbeck; UPEI’s Chancellor Dr. Doris Anderson and President Dr. C.W.J. Eliot. Montgomery’s family was also in attendance: Kate Macdonald Butler, Ruth Macdonald, George Campbell, and Jennie and John Macneill. Other special guests included scholars Rubio, Waterston, and Åhmansson. 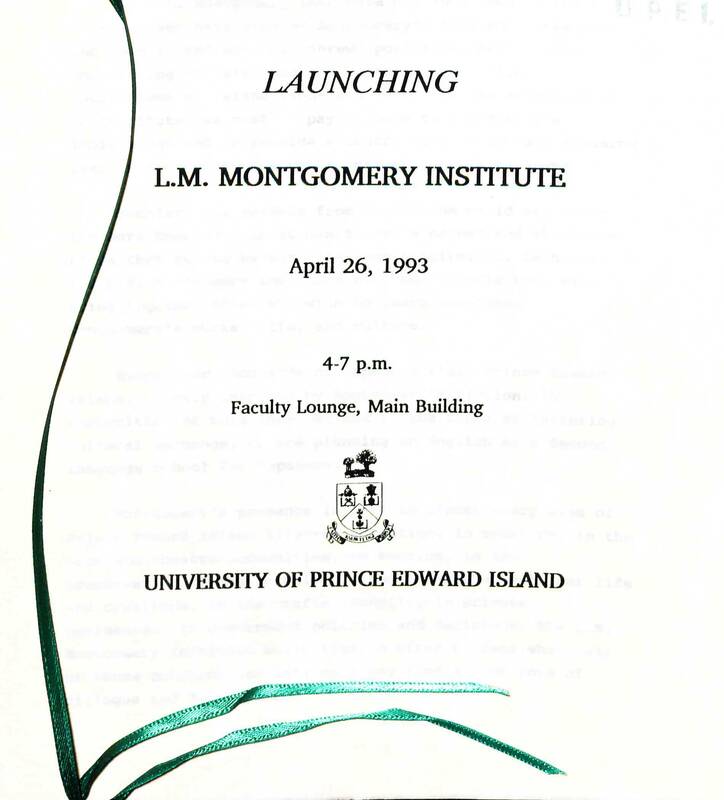 Butler “fondly remembers the day back in 1993 when the LMMI was launched in the Faculty Lounge of UPEI. I was accompanied by my mother, Ruth Macdonald, who would have been in her late 70s at the time. It was just the beginning of many more memorable trips together to the University of PEI." After the introductions, speeches were given by Epperly, Butler, Campbell, Rubio and Waterston—who discussed The Lucy Maud Montgomery Project—and Åhmansson. As part of the ceremony, Rubio donated two copies of her Montgomery theses to the PEI Collection at the University of Prince Edward Island Robertson Library to Librarian, Frank Pigot. After the speeches, Hank Stinson and Glynis Ranney performed two pieces from a new musical based on Montgomery’s novel, The Blue Castle. (Picture taken during the Launch of the L.M. Montgomery Institute. 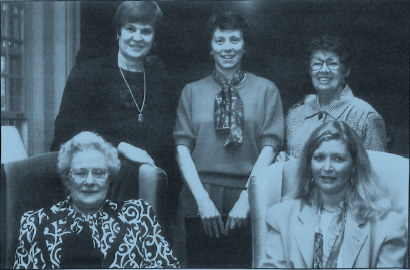 From left to right: Dr. Mary Rubio, Dr. Elizabeth Epperly, Dr. Elizabeth Waterston, Ruth Macdonald and Kate Macdonald Butler. Source: UPEI Magazine '93, pp. 9). Over the years, the Institute has achieved all of its goals. For five years, the LMMI ran an English-language, Montgomery focused, immersion program for Japanese women, as well as hosted one of the very first listservs, Kindred Spirits, where scholars and readers could discuss the author’s work. The first gathering at the LMM Institute conference brought an astonishing group of scholarly “Anne-fans” from around the world. My first memory is of the joy and astonishment, the home-coming feeling that they all expressed. I had felt the same way when I came to the Island in 1963 to visit Frank Bolger and talk about Montgomery with him. Now I was back, deeply involved with Mary Rubio since 1980 in editing the Selected Journals, and ready to hear what the world of scholars made of the magic island of LMM’s fiction. Some had found that island as young girls, chuckling over a book about a fellow young person, talkative and imaginative and ambitious as we each knew ourselves to be. Others had come ashore as women, perhaps reading about Emily or the Story Girl to our own children, or perhaps studying them in courses on women’s writings or children’s literature. Indeed, the conference was so successful that they did it again in 1996. That year, a young scholar, Laura Robinson, not only presented, but wrote about what it was like attending the conference for ARTSatlantic. Robinson’s meticulous reporting shows the depth and diversity of scholarship, developing a strong foundation that has in the last twenty-five years has only grown. 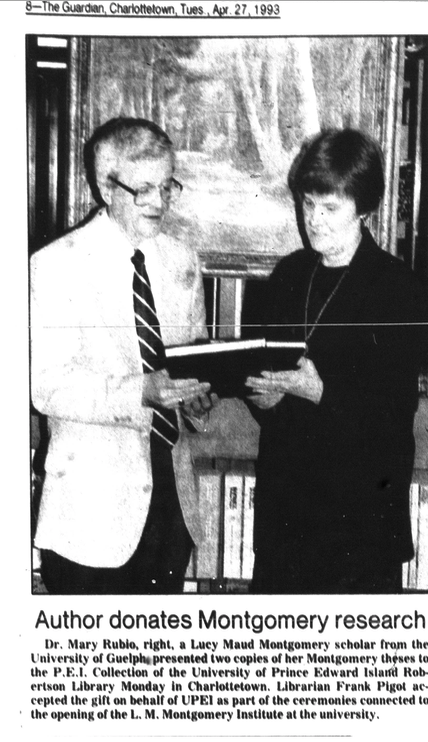 The 1996 symposium also showcased papers from Mary Beth Cavert, Carolyn Strom Collins, Irene Gammel and Kevin McCabe. And, Robinson is now the Co-Chair for the upcoming L.M. Montgomery and Reading Conference, LMMI’s former Visiting Scholar, and a member of the LMMI’s Management Committee. Now, the conference is an opportunity for academic and independent scholars to showcase their work, helping to nurture and develop future scholarship. The conference also continues to be a meeting place for readers and scholars to come together and discuss Montgomery’s work. The LMMI also has a long history of using new media to discuss Montgomery’s work, such as Epperly’s “This Anne Place,”which celebrated “the generative genius of L.M. Montgomery, her novel Anne of Green Gables, and the golden 50thseason of the Confederation Centre’s beloved Anne of Green Gables – The Musical™.” And, in 2000, a Creative Team, which included Dr. Elizabeth Epperly, Dr. Anne-Louise Brookes, and Deirdre Kessler with Louise Polland (principal writer),created an impressive multimedia CD-ROM presentation, The Bend in the Road: An Invitation to the World and Work of L.M. Montgomery, that explored Montgomery’s life and work. There have also been seven essay collections inspired by the conferences, such as L.M. Montgomery and Canadian Culture, edited by Gammel and Epperly, and the upcoming release L.M. Montgomery and the Matter of Nature(s), edited by Jean Mitchell and Rita Bode. There is also a special issue of CREArTA. The LMMI has also experimented with print on demand titles, such as Carolyn Strom Collins’ compilation, A Guide to L.M. Montgomery’s Story and Poem Scrapbooks 1890-1940. Last year, the University of Prince Edward Island took Montgomery scholarship even further by hiring the world’s first Chair in L.M. Montgomery Studies, Dr. Kate Scarth. Scarth took up her tenure-stream position as Chair in L.M. Montgomery Studies and Applied Communication, Leadership and Culture, a position that advances the Institute’s scholarly mission, as well as forging stronger links with scholars and enthusiasts on the Island and around the world. Now, in its 25th year, the Institute is thrilled to be announcing its next endeavour: Journal of L.M. Montgomery Studies– the first open-access journal devoted to studying Montgomery’s life, work and culture! As in the tradition of the LMMI, this new journal will combine new technologies, welcoming interdisciplinary and international authors and readers, including Montgomery scholars and the broad community of enthusiasts. This refereed, open access digital space will start selecting papers based on conference presentations on September 1, 2018. See here for more details. And, it is only just getting started. *Special thanks to Robertson Library’s University Archivist & Special Collections Librarian, Simon Lloyd, for his help in researching and gathering materials. “Author donates Montgomery research.” The Guardian,27 Apr. 1993, 8. Gray, Bob. “Real Men Read Anne.” UPEI Magazine,Summer 1993, pp. 9-10. MacKay, Mary. “Montgomery Receiving Deserved Recognition.” The Guardian,24 Apr. 1993, pp. 5. _____________. “L.M. Montgomery Institute Focuses on Career, Influence.” The Guardian, 24 Apr. 1993, pp. 5. Robinson, Laura. “The 1996 L.M. Montgomery Symposium.” ARTSatlantic, vol. 14, no. 4, 1996, pp. 54.